Frederick was born on 11 October 1893 at South Darenth, Kent , the only son of Henry Clayton Sharp and his wife Frances Tilly née Tyrer. The story of his family is difficult to comprehend; it seems that Henry and Tilly were estranged before 1906, when Henry appears in a census of Manitoba, Canada, living with a ‘wife’ Ellen and daughter Dorothy in a small prairie town called Pilot Mound. At this same time young Frederick was a pupil at Newbury Grammar School, which he attended from 1906 to 1909. It seems that he was living in Newbury with his aunt, Annie Lee Alleyne (his father’s sister) at The Nook, Newtown Road. It was probably this relationship with his aunt that led to both his inclusion on the Newbury memorial and an entry in De Ruvigny’s Roll of Honour. Published in four volumes after the war this contained short biographies of the fallen submitted by the public. Frederick’s entry includes the information that he attended Seaford College, Lausanne; presumably before his time at Newbury Grammar. No trace of a Seaford College has been found in Lausanne; however, there is a Seaford College in England (then in Seaford, now in Petworth, West Sussex) – perhaps he was a pupil there? Sadly the school records were lost after the school was requisitioned by the military in WW2. Nokomis: more like a scene from a spaghetti western than a place to start a career in banking. 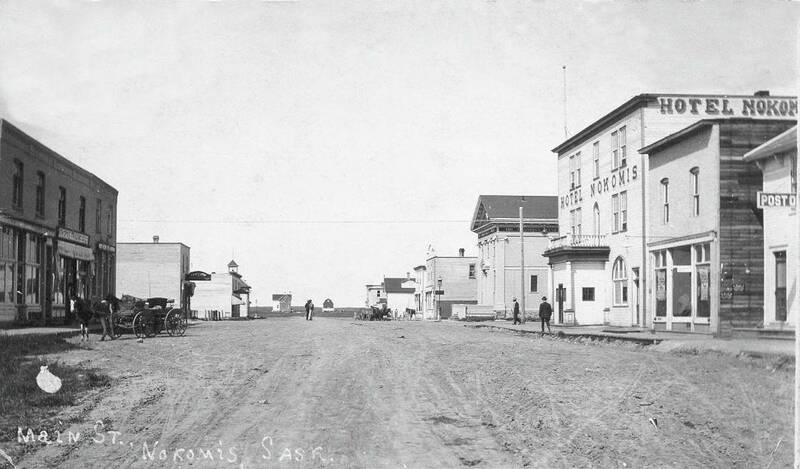 Frederick had not been abandoned by his father; it is very possible that it was felt that he would get a better education in Newbury than Pilot Mound, or Nokomis in Saskatchewan, where Henry had moved to by 1911. Once his schooling was finished Frederick joined his father in Nokomis and worked as a clerk in the local branch of the Northern Crown Bank, before moving to Vancouver in 1913 following a career opportunity with the bank. 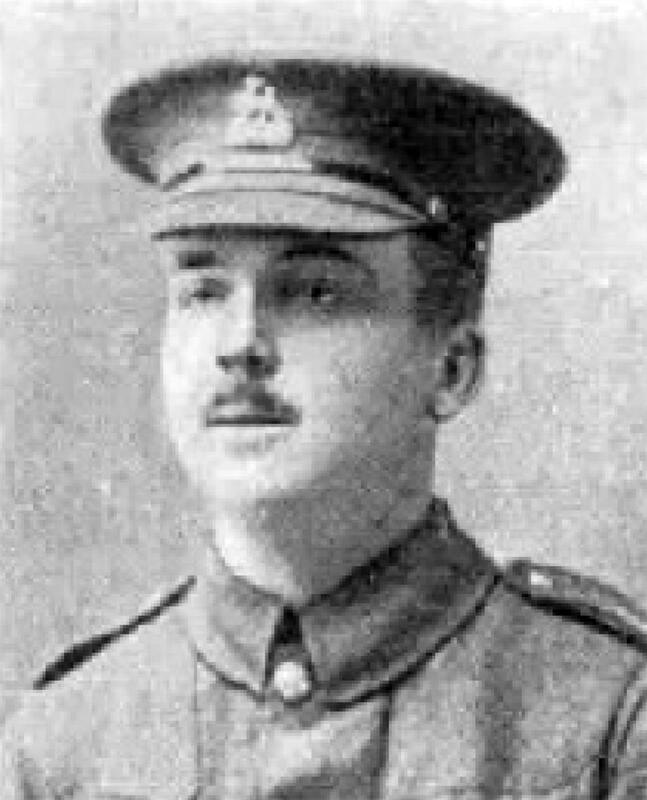 When war was declared in August 1914 it did not take Frederick long to decide to return to England and enlist. He travelled back to Newbury and joined the Berkshire Territorials (4th Battalion, Royal Berkshire Regiment) on 21 May 1915. After training in England he crossed to France on 25 February 1916 as one of a draft of replacements for the 1st/4th Battalion. Frederick's name on Newbury War Memorial. Frederick was one of the casualties. As a member of A Company he may well have been one of the platoon who went over the top, or he may have been a victim of shelling; it is impossible to tell. His body was never identified, so he is commemorated on pier 11 and face D of the massive Thiepval Memorial a short distance from where he fell. 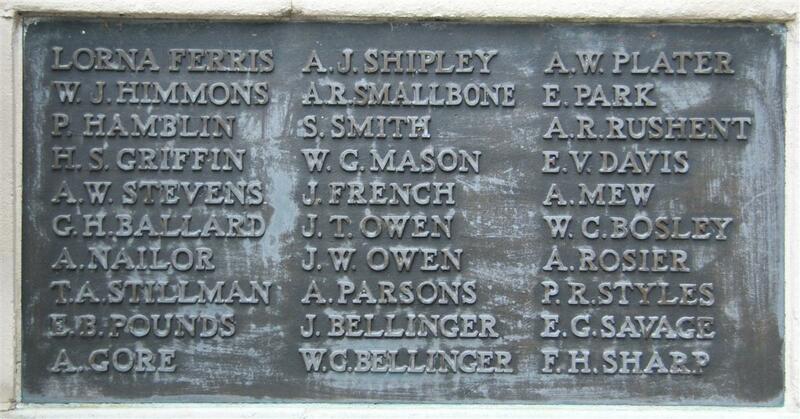 His aunt ensured that he was also remembered on the Newbury Town War Memorial (tablet 1) and he was also included on the Newbury Grammar School Memorial, now located in the reception area of St Bartholomew’s School, Newbury.